On July 15, 2010 our Indian currency Rupee got its own symbol which give it a unique identity and differentiate it from other countries (Nepal, Pakistan and Shri Lanka) using the similar Rupee currency. Now the new Indian currency symbol is getting used almost everywhere. You might have seen it in use in advertisements in newspapers and television. If you are a blogger, you may want to use it on your blog too. WebRupee is a service which developed an API. This API provides a simple, cross browser method for using the Rupee symbol on your webpage, blog or anywhere on the web. 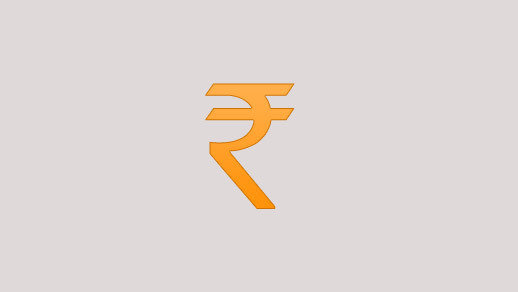 In this post, you will learn how to easily use the Rupee symbol in your blog posts. Today, on August 27, 2010 the new rupee symbol is accepted by Unicode. You can use the rupee symbol position U+20B9 INDIAN RUPEE SIGN on your blog. You can use the following method to write the rupee symbol on WordPress , Blogger or any other webpage. You can also use the following format, the output will be the same. Update All Rs to Rs. If the visitors of your blog copy and paste it somewhere they will not see the rupee symbol. Instead they will see something like this Rs. it really usefull trick… thanks for sharing mate…. it nice input, but can anyone tell how i can write these new inr symbol in world or excel or during writing any mail. Well the new ruppe symbol looks quite cool. It consists both the scripts devnagri and roman and that what makes it special..
Glad to know that its that simple to use the rupee symbol in our blogposts. It is really simple task. You can also include it in your blog if you use Rupee in your blog posts. it isn’t working on my blog… :(.. i work on blogger.. any suggestions?? It should work on blogger as well. Can you give me your blog URL ? ?Is there any plugin for this stuff?? Nice one… Works in mozilla but not in opera…. just tried dear…but not working for me..will u tell me where could be problem ?